Fort Sumter National Monument protects and preserves a huge moment in US history and the Civil War. In order to visit Fort Sumter, you will need to be on a tour that leaves from the Liberty Square visitor center. The grounds and fountain at Liberty Square commemorate the evolution of liberty in America from the Constitutional Convention in 1787 to the Civil Rights movement of the 20th century. You can walk around Liberty Square and check out the bronze plagues containing messages that trace America’s history. 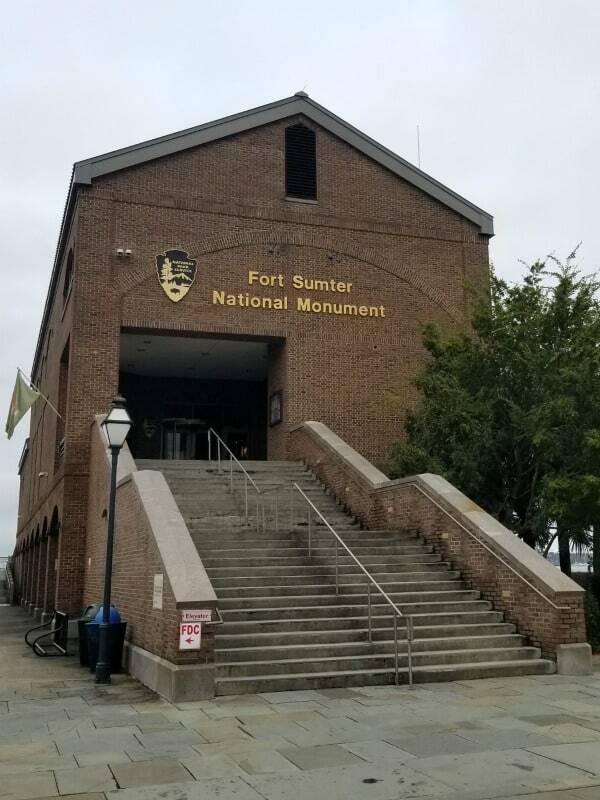 The Fort Sumter Visitor Center at Liberty Square includes amazing interpretive exhibits, ranger presentations, and volunteers available to answer questions. Charleston captivates visitors to want to taste its low country cuisine, experience its rich cultural heritage, and learn about the role it played in starting the Civil War. Charleston’s Civil War history begins with a little skirmish at Fort Sumter, a small structure built in 1829 and located along the Charleston Harbor. A garrison of Federal troops commanded Fort Sumter on the morning of April 12, 1860, but by the end of the following day, the fort fell under the control of the newly formed Confederate forces. The events leading up to the first civil war altercation at Fort Sumter began when Abraham Lincoln assumed the position as President of the United States. Some of the Southern states feared that the new president would push to end slavery and other freedoms held dear to the whites in the South. Wishing to make a statement against Lincoln’s wishes, South Carolina seceded from the union of the United States. After South Carolina broke away from the Federal government, Mississippi, Florida, Alabama, Georgia, Louisiana, and Texas gradually joined South Carolina to form the Confederate states. As a written declaration, the Confederate states composed a new Confederate Constitution which was modeled after the original United States Constitution except that it gave more power to the states instead of the governing body joining the states together. The Federal government vehemently dismissed South Carolina’s declaration of sovereignty by continuing to command a military fort positioned along the Charleston Harbor and right in the middle of the Confederate states. In mid-April 1861, Abraham Lincoln sent a load of much-needed supplies to the 90 member command at Fort Sumter which being blockaded by Confederate ships. In an attempt to block the union supplies from reaching Fort Sumter, Confederate forces decided to fire at the ship, thus making history as the first shot fired in Civil War. At 4 am on the morning of April 12, 1861, Confederate Captain Abner Doubleday fired a ten-inch mortar over the Charleston Harbor. In retaliation United States Major Robert Anderson and his men returned fire. The skirmish ended after only two days with the surrender of the Fort Sumter to the Confederate troops under the command of General Pierre GT Beauregard. Although one casualty resulted from the forceful act, the tiny skirmish at Fort Sumter in April 1860 set into motion the long bloody four years of the Civil War. The union forces unsuccessfully attempted two more times to take Fort Sumter from their enemy but did not assume command again until the war ended. 1. 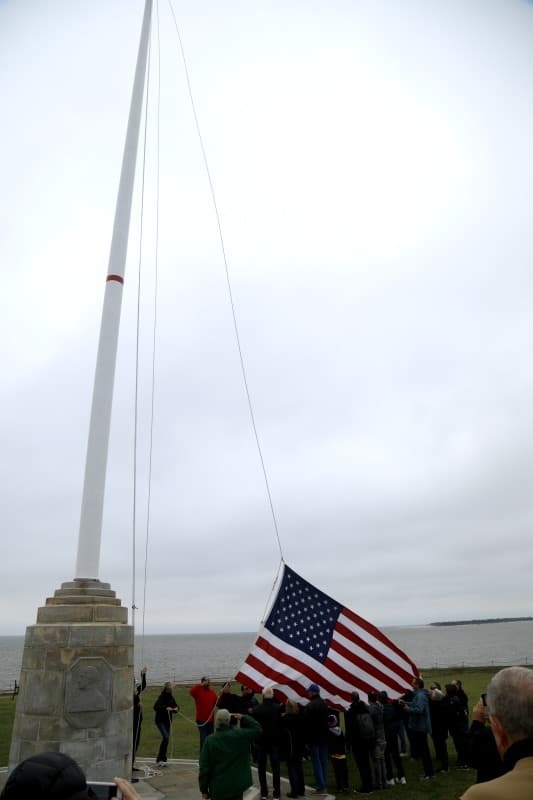 Today visitors can tour what is left of Fort Sumter. After multiple battles, the fort could not remain with its original dimensions of 300 Feet long by 400 feet high and 8-12 feet thick. 2. Other shots during the beginnings of the war were fired first, but the skirmish at Fort Sumter was the first to promote an exchange of gunfire. For instance, before the surrendering of Fort Sumter to the Confederacy, a hostile shot was fired on an unarmed Federal Supply, The Star of the West, but since the passengers on the ship did not return fire and start a skirmish, that event is not credited as the first shot fired in the Civil War. 3. Many stories exist where peoples were once friends or even brothers but fight on opposing sides during the war. This was no different at the battle of Fort Sumter. United States Major Robert Anderson served as a student and then an assistant under Confederate General PGT Beauregard at West Point. Fort Sumter Tours leave from the Liberty Square Visitor Center. 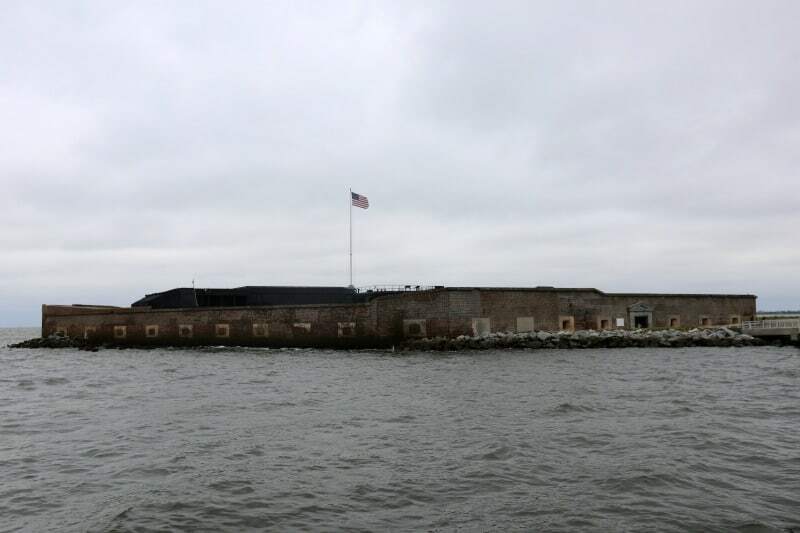 You will want to book your Fort Sumter Tour as soon as you know what day you plan to visit. 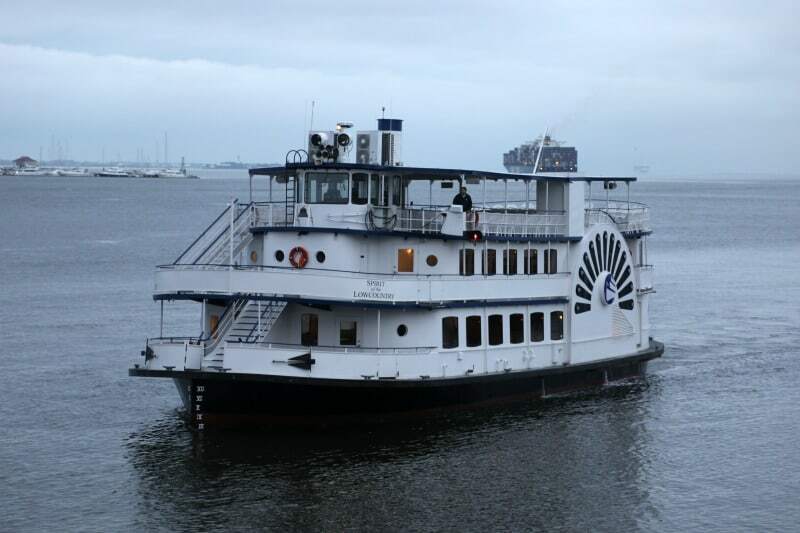 Tours are offered from Liberty Square and also from Patriots Point in Mount Pleasant. Depending on the time of year you plan on visiting will depend on the tour times. The tour boat is heated and has seating on the inside of the boat and up on the top of the boat. The boat ride takes about 45 minutes to reach Fort Sumter and then you have an hour on the island to explore. Each tour offers something a little different. We went on a morning tour and were at Fort Sumter for the flag raising ceremony which was amazing. Make sure you dress for being on an island and on the water. We went in November and it was quite chilly. 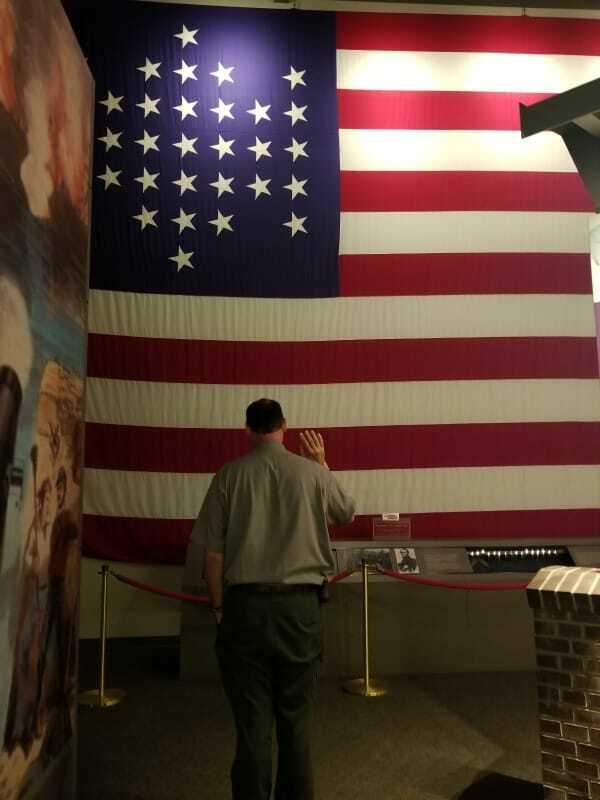 During the evening tours, you can watch the flag come down. There are also different ranger talks given during the day. Mt. Pleasant – Patriots Point, 40 Patriots Point Road, Mt. Pleasant, SC 29464. 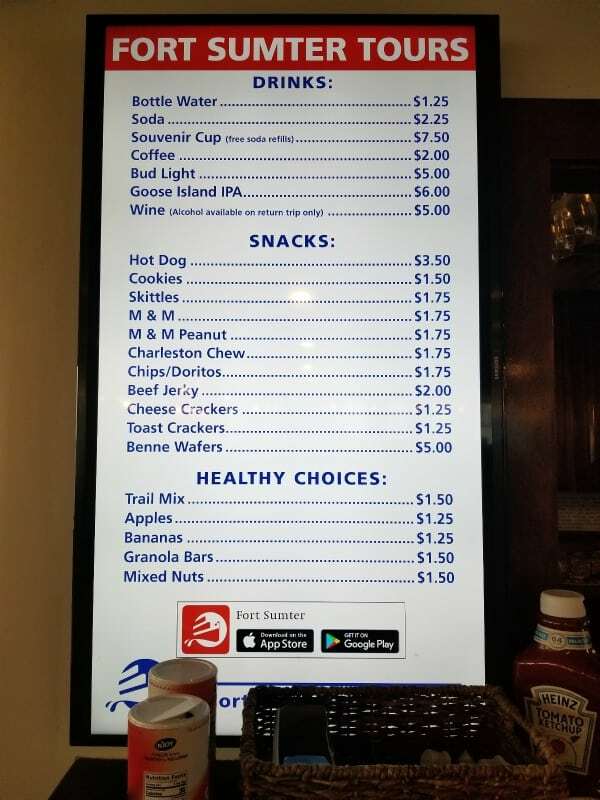 These are the Fort Sumter Tour concession prices as of November 2018. Price may change! 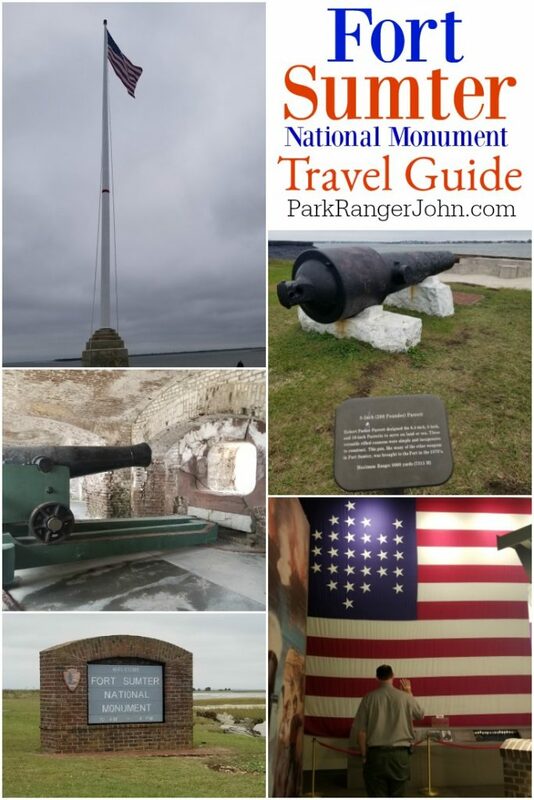 National Park Passes do not apply for the tickets required by Fort Sumter Tours to the Fort. You can book your tour here. The Liberty Square Visitor Center is filled with interesting information on Fort Sumter. There is also a bookstore/gift shop, the departure point for Fort Sumter Tours and volunteers and rangers happy to answer your questions. The visitor center is open daily from 8:30 am to 5 pm except on Christmas, New Year’s and Thanksgiving. Fort Moultrie is the location of the first American victory over the British Navy in 1776 which galvanized the patriot’s cause for independence. One of the cool things about visiting this fort is you can really see how the fort was changed over time. You can see how weapons changed, radar and how the military adapted over time. 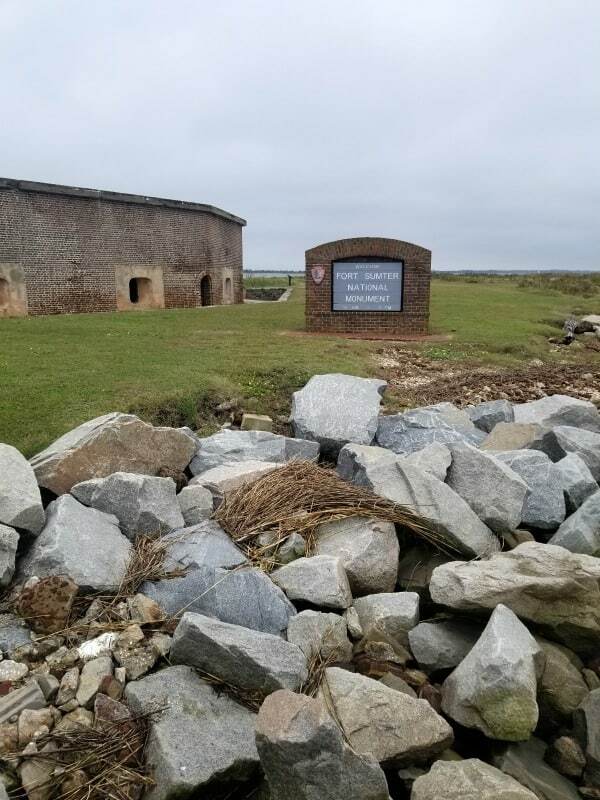 You can see how the fort transformed from a palmetto log structure during the Revolutionary War to a reinforced concrete structure during World War II. After World War II technology was advancing so quickly that the seacoast defense system at Fort Moultrie was deactivated. After 171 years of military service, Fort Moultrie was deactivated in 1947. June 28th is Carolina Day. Fort Moultrie has 18th-century drill and musket firing demonstrations and guest speakers who lead talks on the battle of Sullivan’s Island. 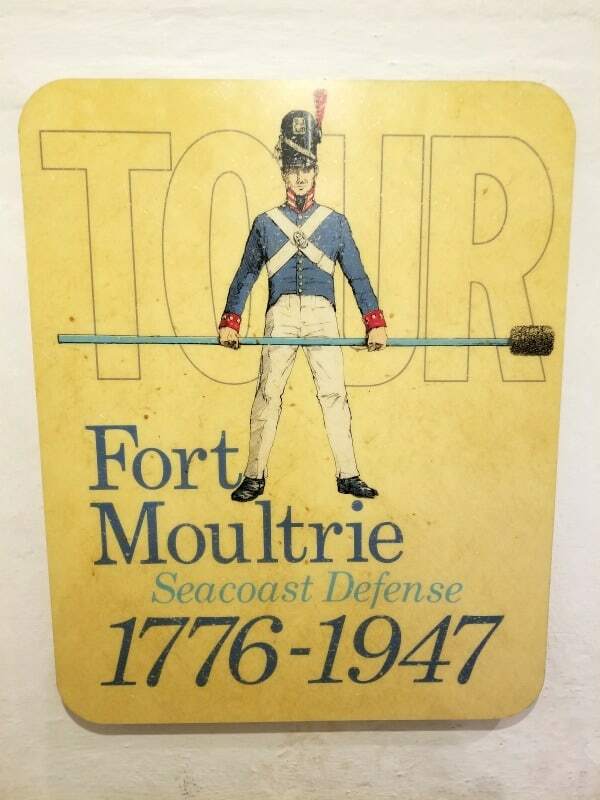 Fort Moultrie is located on Sullivan’s Island ten miles from the Liberty Square Visitor Center. Fort Moultrie has a great visitor center that includes interpretive information and a park film. Pre-warning the park film is not new so it is a bit dry but filled with a ton of great information. Fort Moultrie even has it’s own Junior Ranger program and badge. 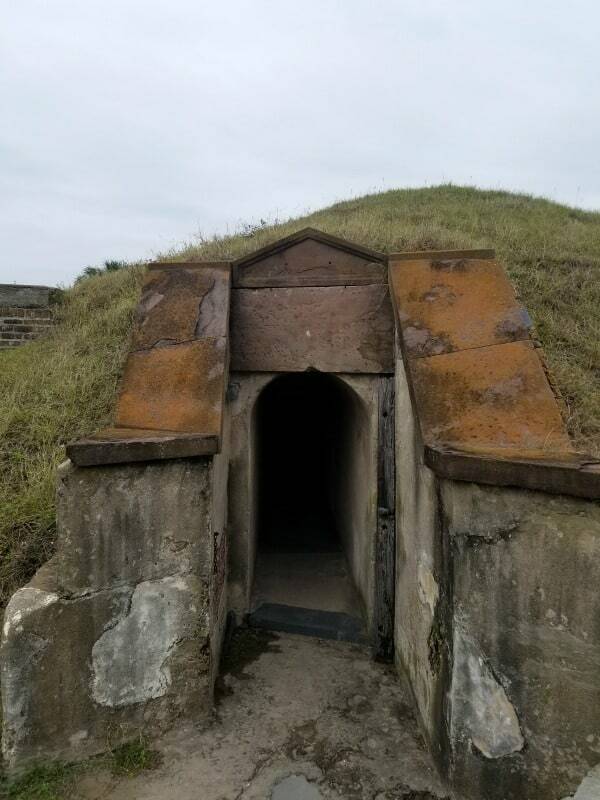 There is a small entrance fee to visit Fort Moultrie. Fort Moultrie is open daily from 9 am to 5 pm except on Thanksgiving, Christmas and New Year’s Day. On April 12th and 13th to commemorate the anniversary of the Battle of Fort Sumter costumed interpreters give demonstrations and talks for each of the tours. When possible there is musket firing and drills along with period military musicians playing military marches and other selections. Become a Fort Sumter Junior Ranger and receive your own Junior Ranger Badge. You can pick up the Junior Ranger program at the front desk of the visitor center. The booklet is available for all ages and a great way to learn more about this amazing park. Fort Sumter is located in Charleston Harbor in South Carolina. The fort can only be reached via boat or on a tour ferry. 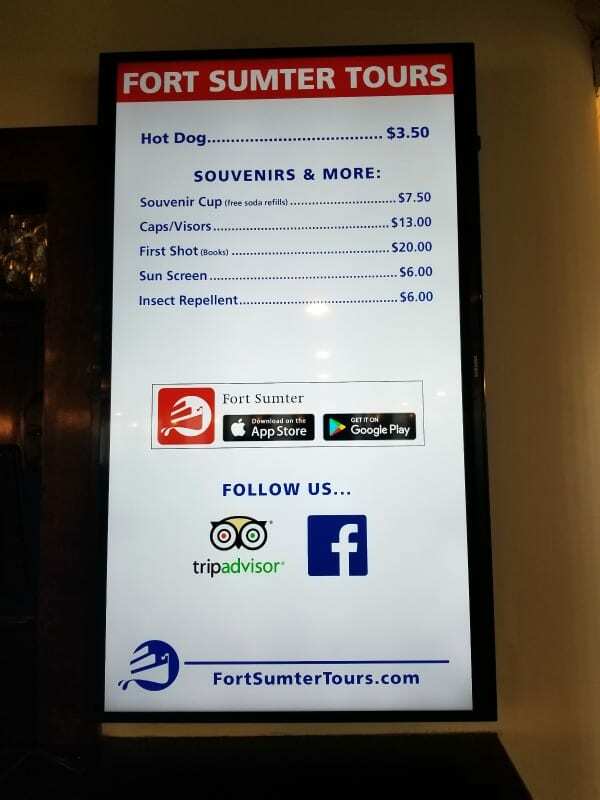 There is no entrance fee to visit the Liberty Square Visitor Center for Fort Sumter. There is a fee to join a Fort Sumter Tour and visit the island. There is an entrance fee to tour Fort Moultrie. children 15 and younger are free. Federal recreation passes are accepted. Part of the walkway area on Fort Sumter is filled with small shells. 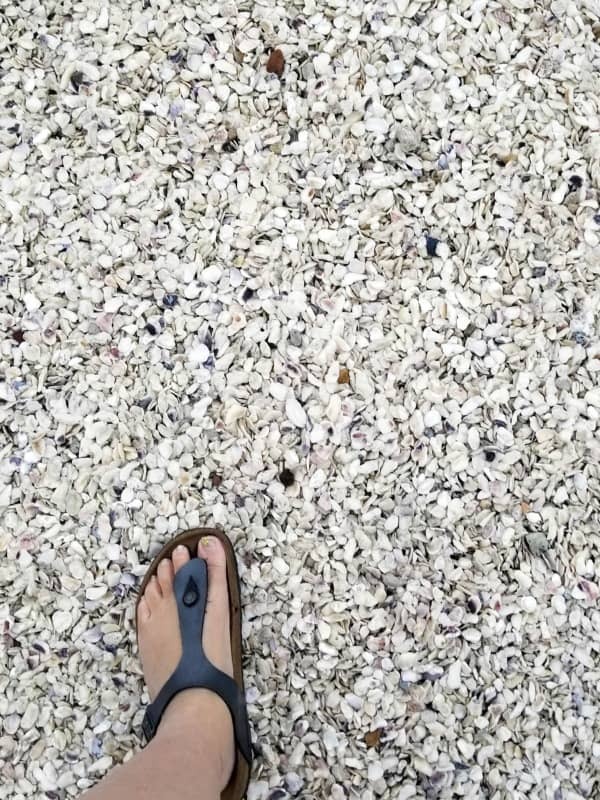 Make sure you have shoes that you are comfortable walking on a shell pathway. My wife had on Birkenstocks and had to keep removing shells from her shoes and toes. There is some protection inside the boat and in the museum on the island but a lot of the tour is outside in the elements. You will want to make sure that you are prepared for the weather. 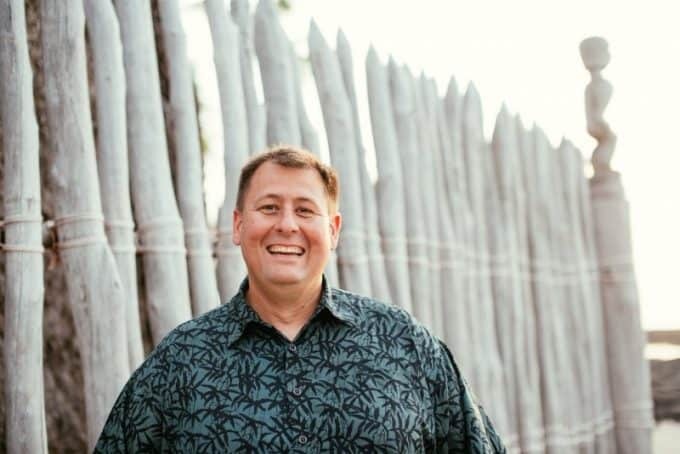 Bug spray – We use this Permethrin Insect Repellent for clothing before any of our trips. Once you treat your clothes the repellent is on them for 6 weeks or 6 washes. This is great when you are traveling to areas that are known for their mosquitoes. This way you don’t have to stress about forgetting repellent when you leave in the morning. Check out all of the South Carolina National Parks and neighboring Georgia National Parks.